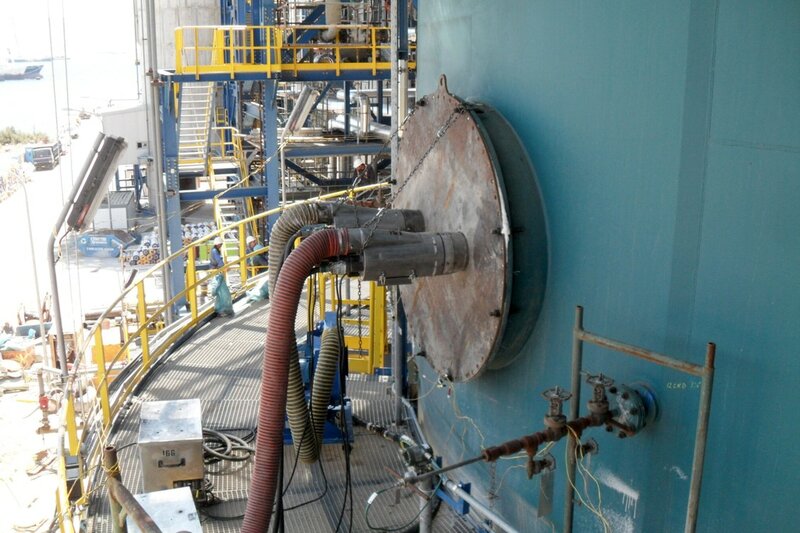 Hotwork has extensive experience with full unit refractory dryouts on FCCU’s and Fluidized Bed Cokers. Our first full unit on-site project was a fluidized coker in Sarnia, Ontario in 1978. In the decades that followed, Hotwork has continued to improve the process to insure safety, quality and efficiency. The Hotwork high velocity burner is ideally suited for the dryout of critical refractory materials in these large and complex units. 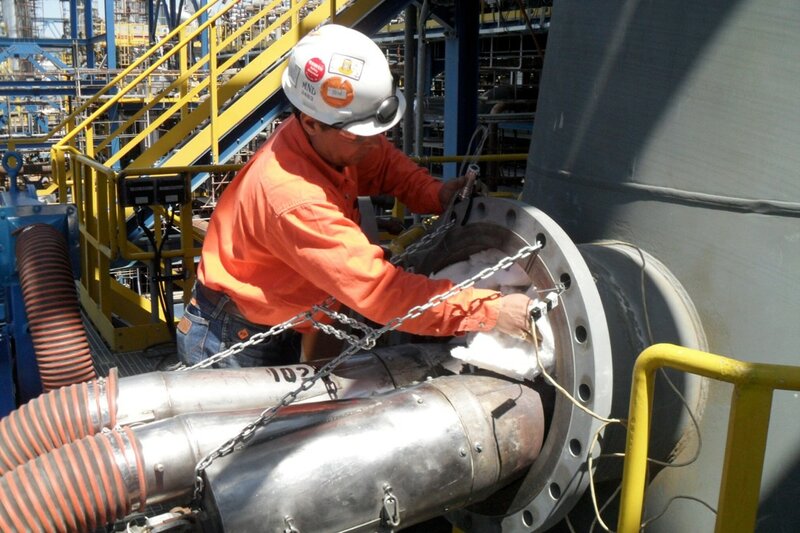 Hotwork engineers the placement of burners to insure the desired mass flow and temperature uniformity. Achieving these critical conditions during dryout contributes to the achievement of refractory campaign life goals. Since that first unit in Sarnia in the 1970’s, Hotwork has completed over 200 full unit on site dryouts.